200 ml | 6.8 oz. 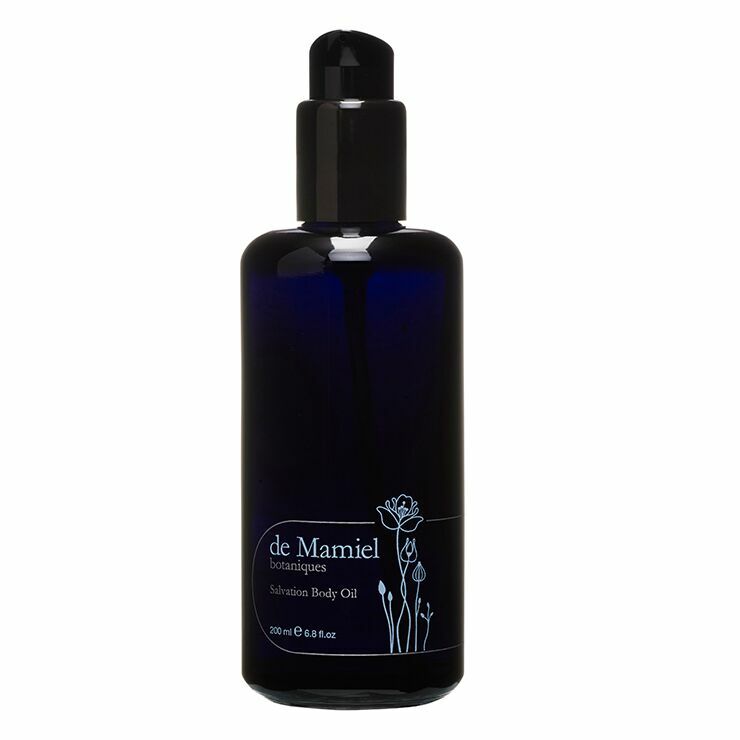 Lend a feeling of silky smooth moisture while uplifting the senses with de Mamiel Salvation Body Oil. Argan and camellia oils provide rich moisturization, reduce the appearance of imperfections, and make skin look supple and youthful. Cedarwood, marshmallow, and watermelon bestow a balancing and calming feel to stressed skin, and rosehip offers a look of brightening and smoothness. This luxe body oil is suited to all skin types, leaving body and mind feeling pampered and protected. Apply a few drops to damp skin after bath or shower and massage in sweeping circular motions. Use whenever skin needs a hit of moisture, especially beneficial after exfoliation.